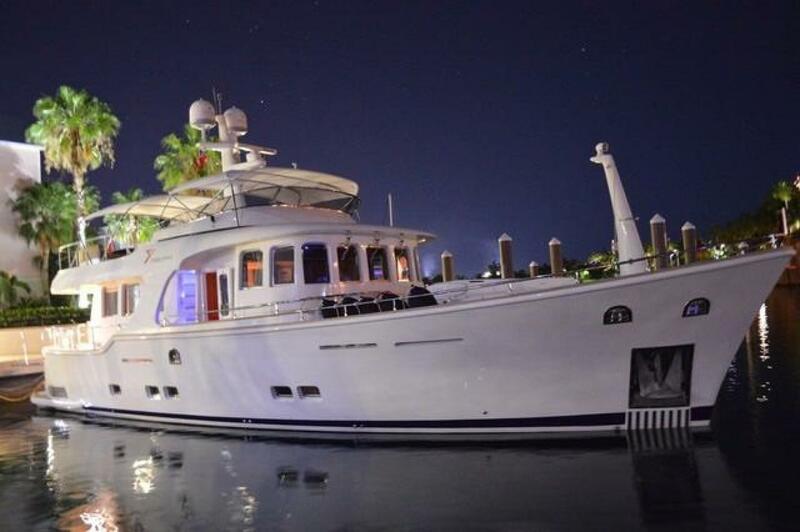 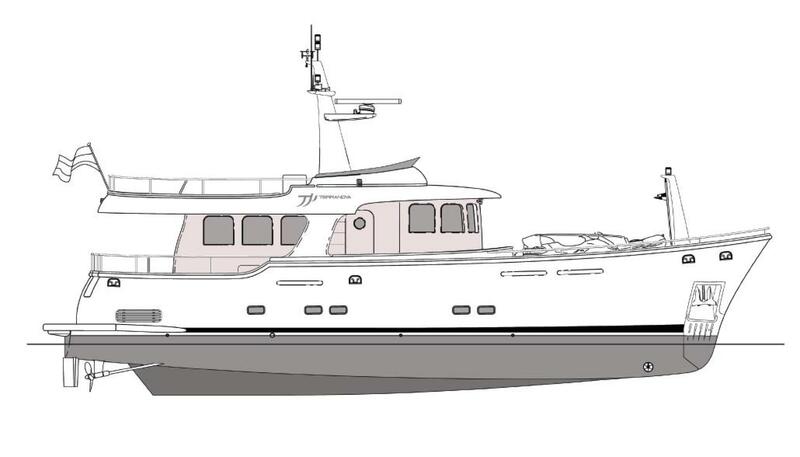 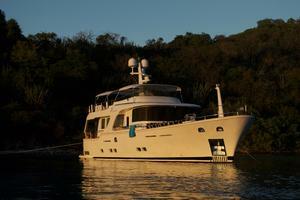 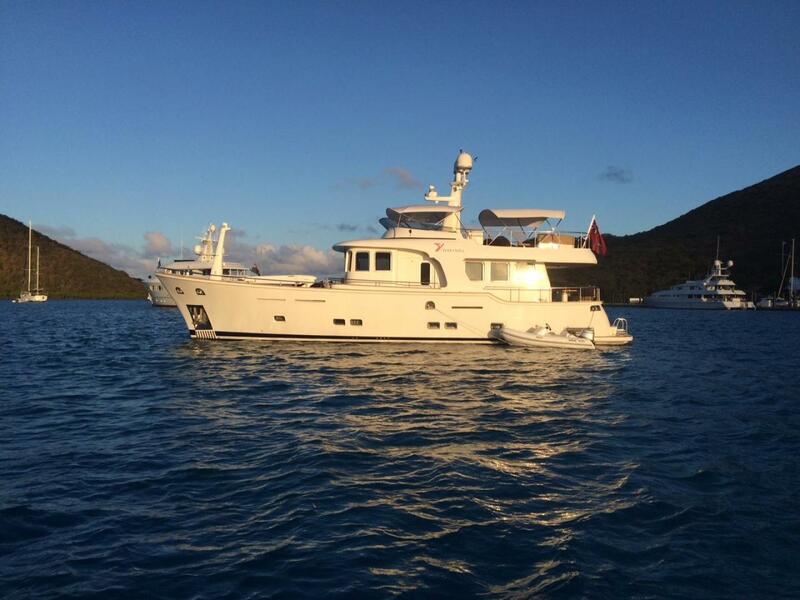 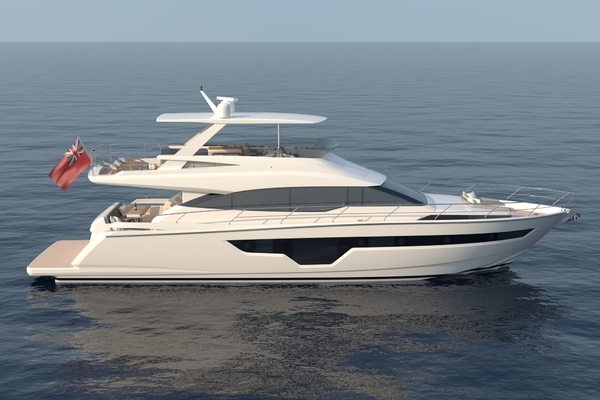 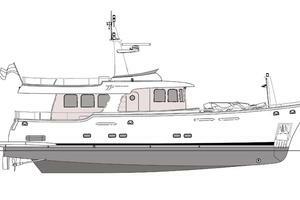 The original 68 foot model was built by the Terranova shipyard in Sardinia, and was delivered as a hull number 4 of only 8 semi-custom yachts ever made. 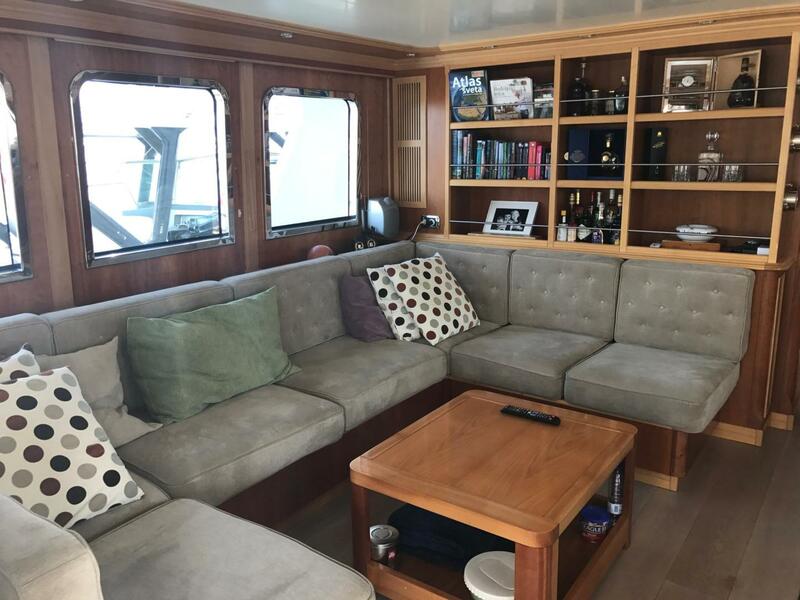 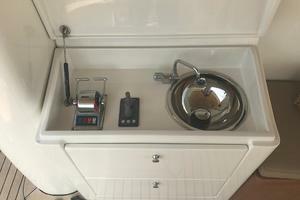 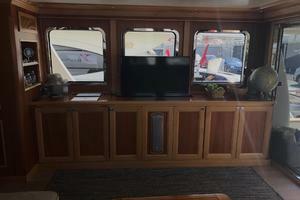 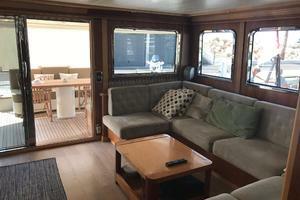 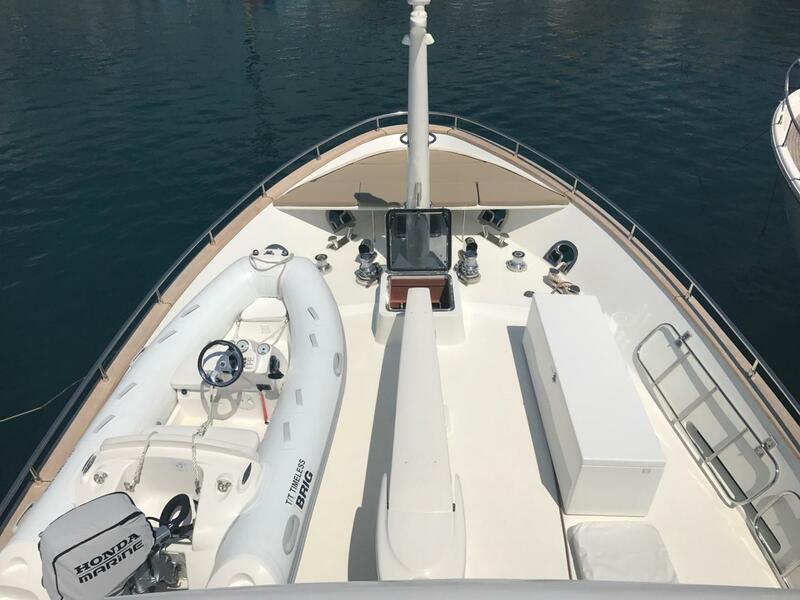 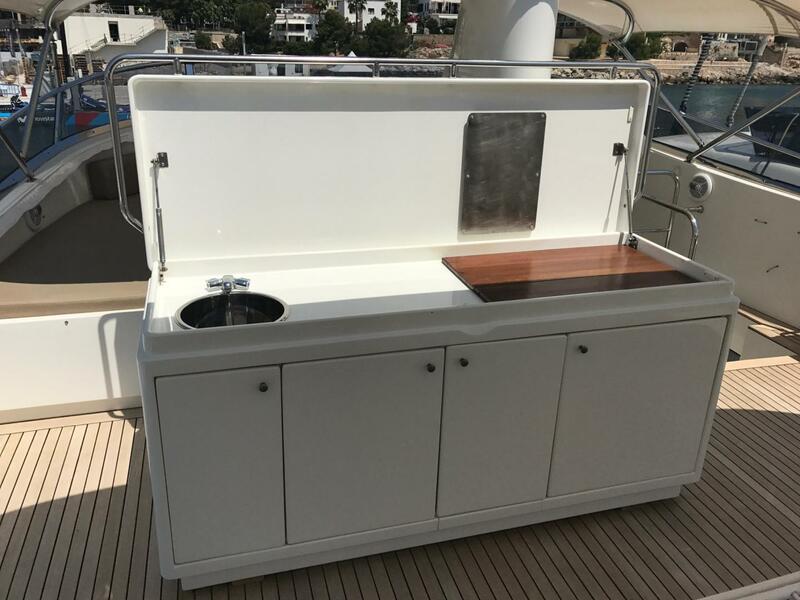 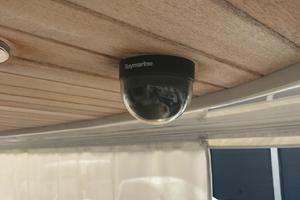 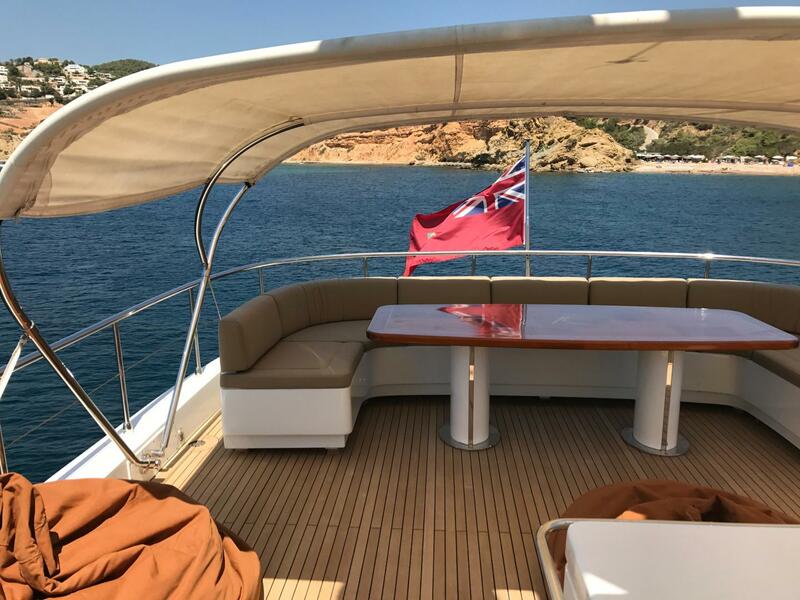 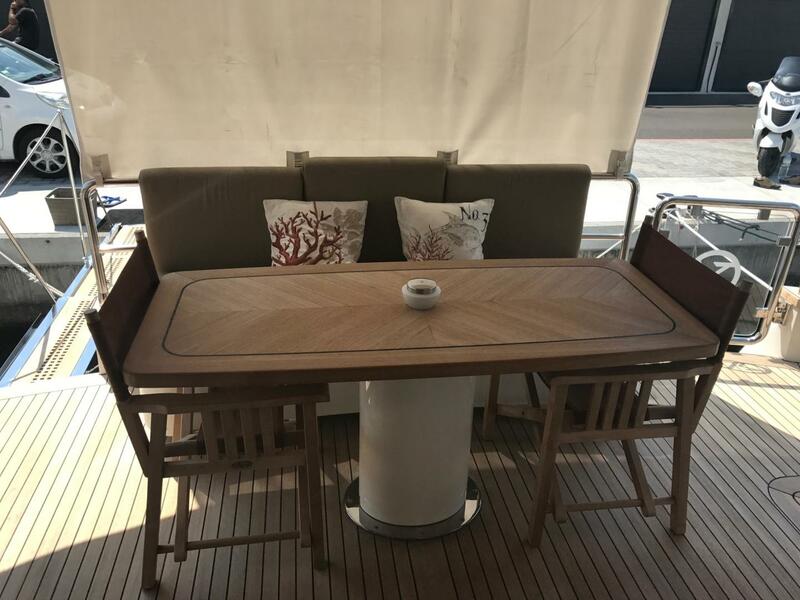 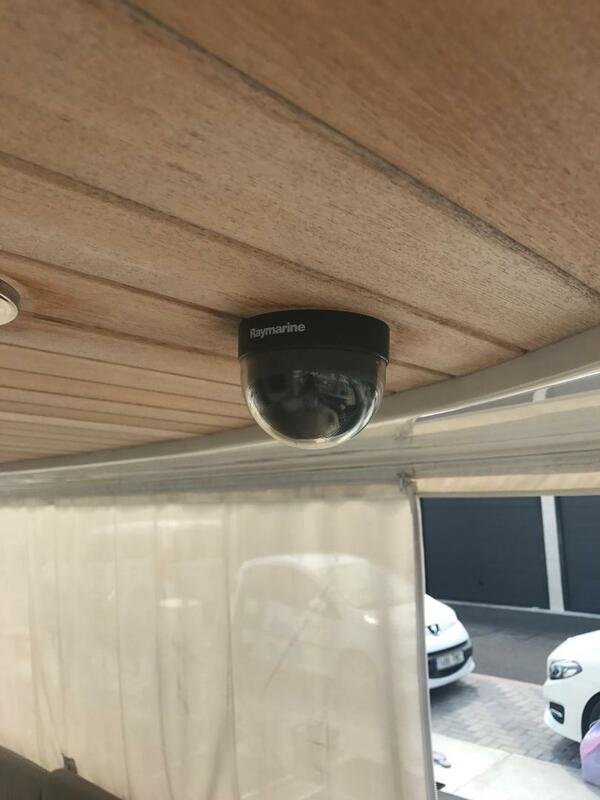 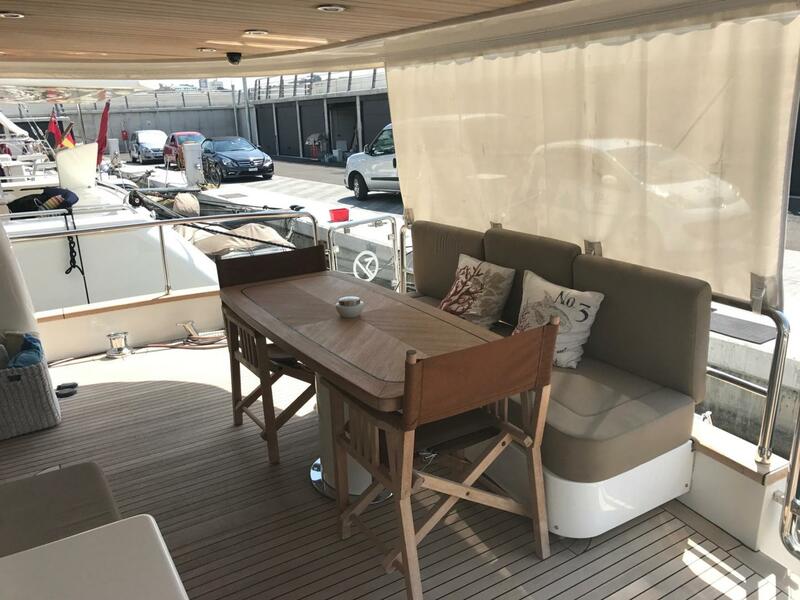 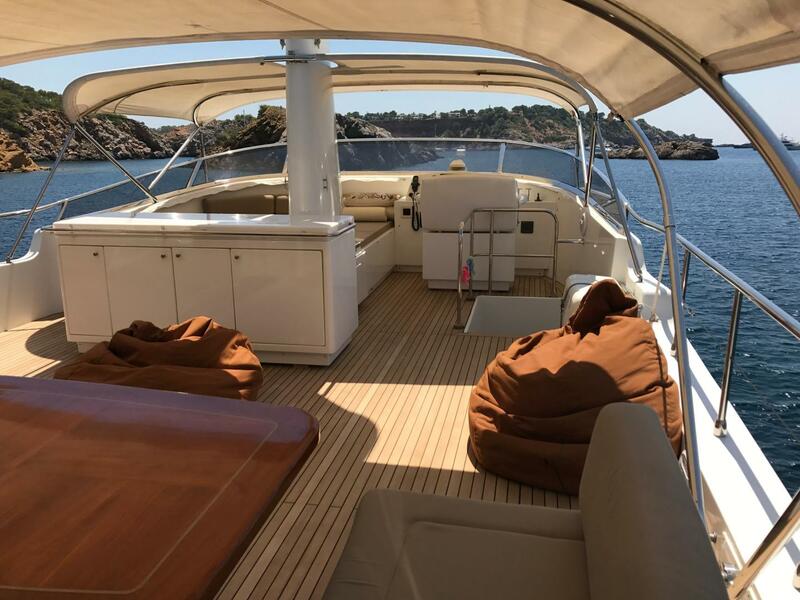 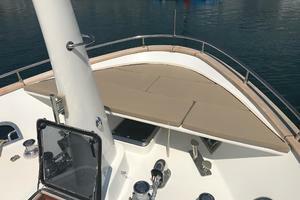 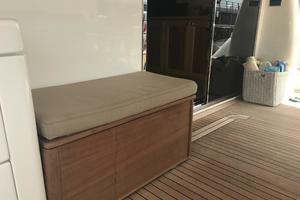 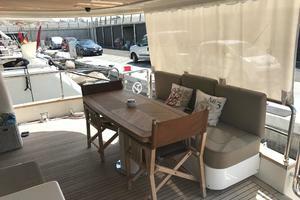 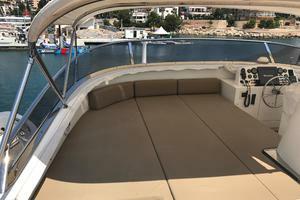 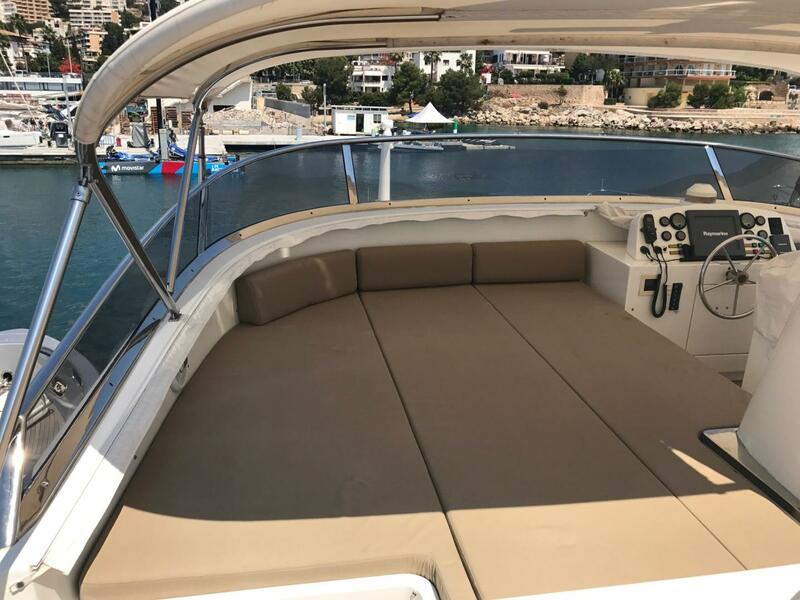 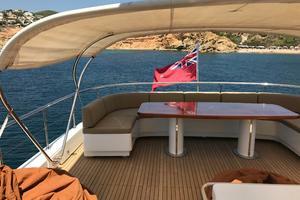 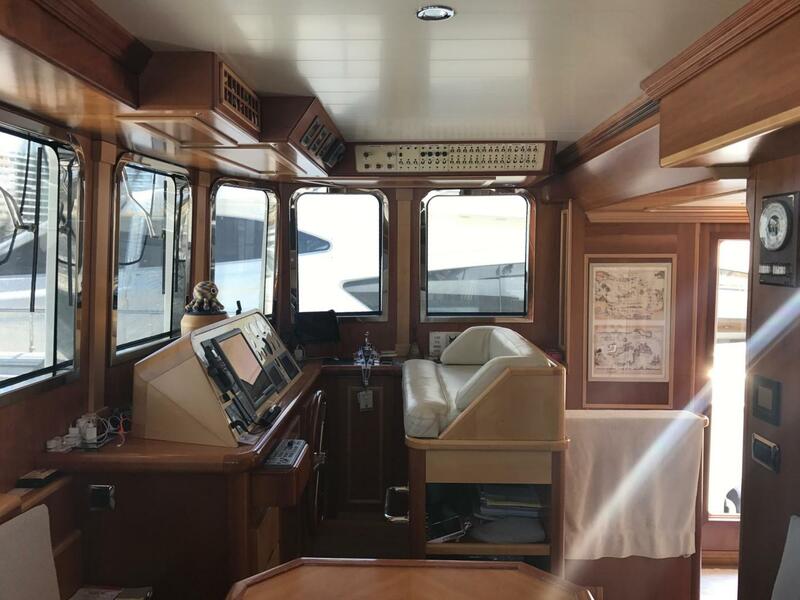 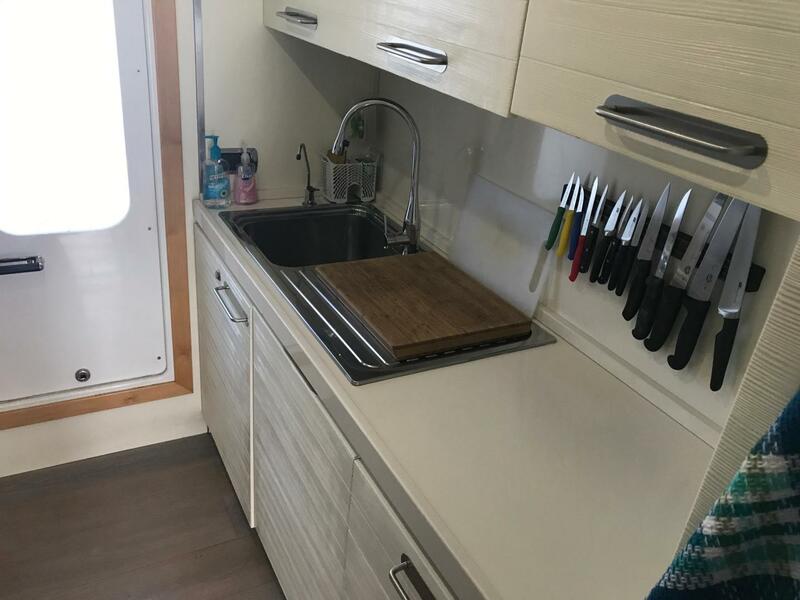 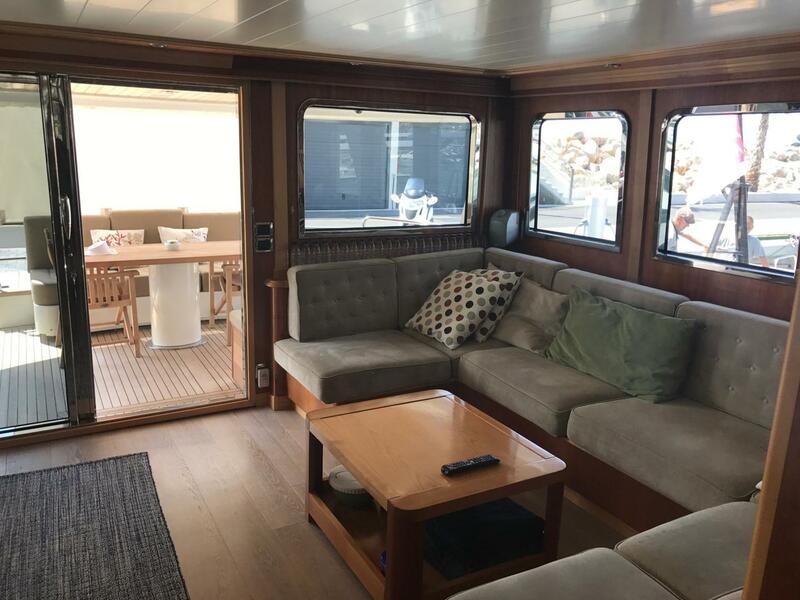 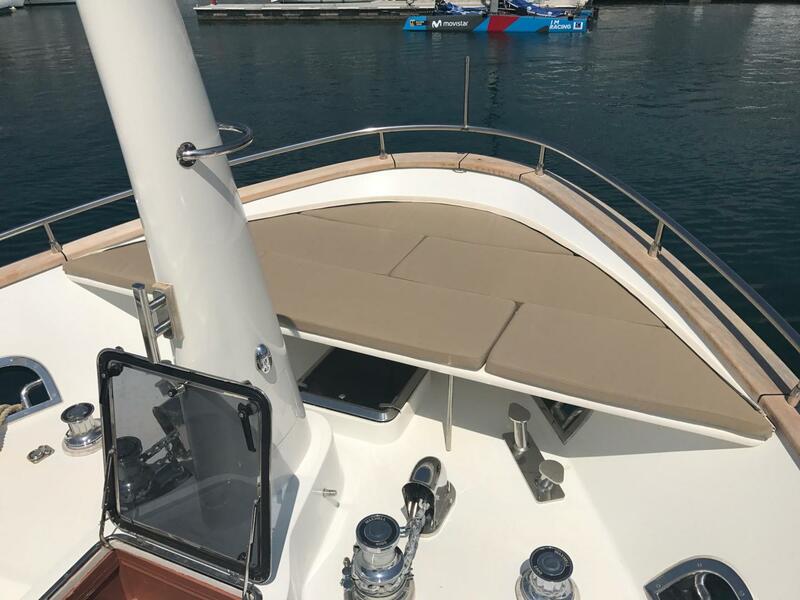 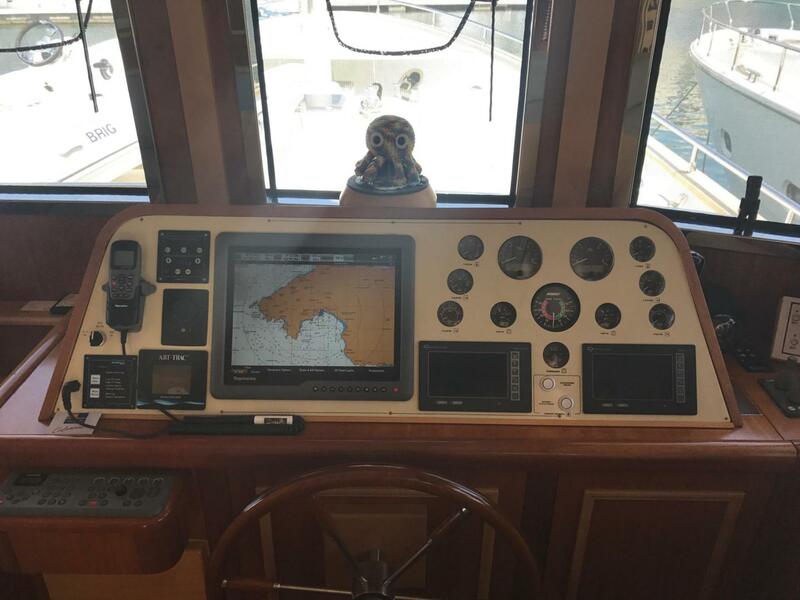 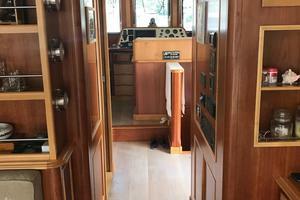 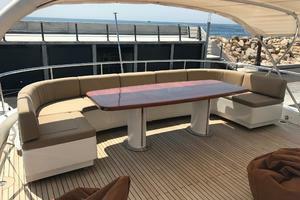 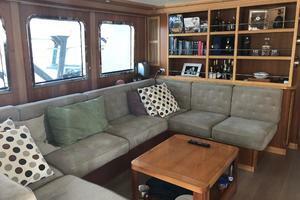 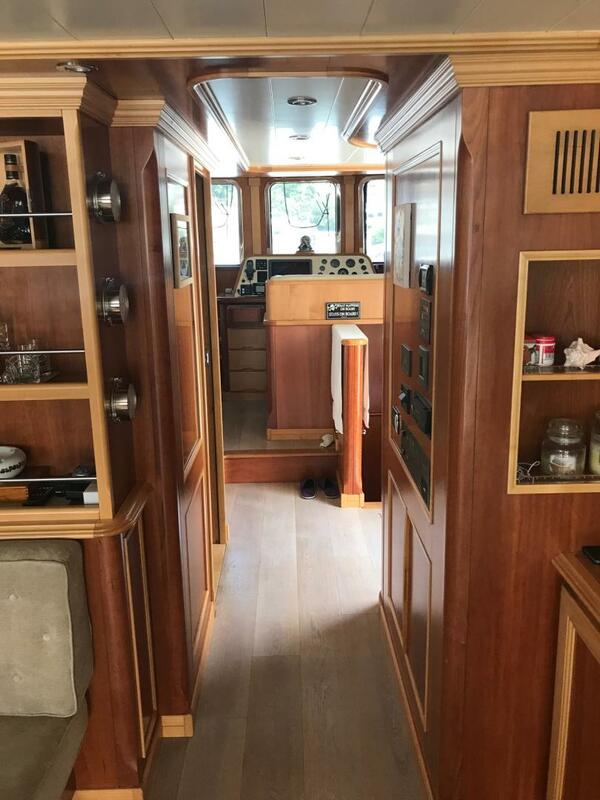 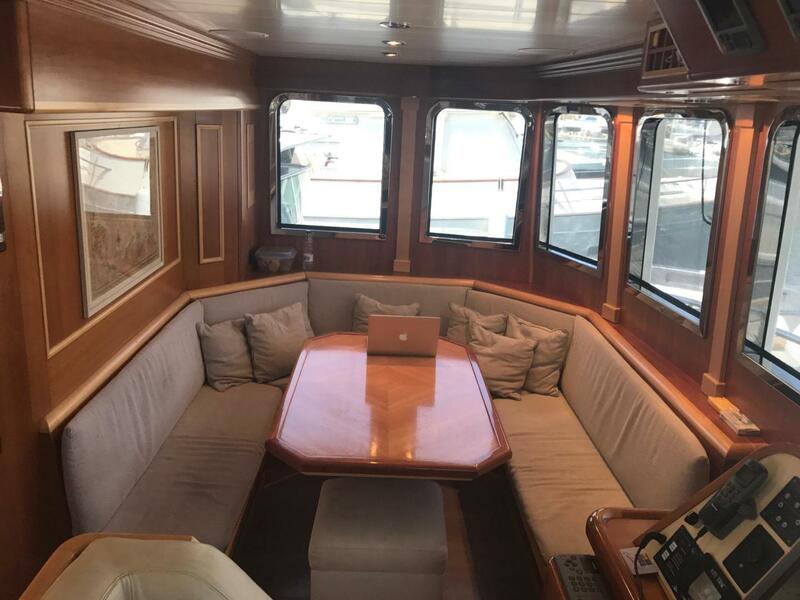 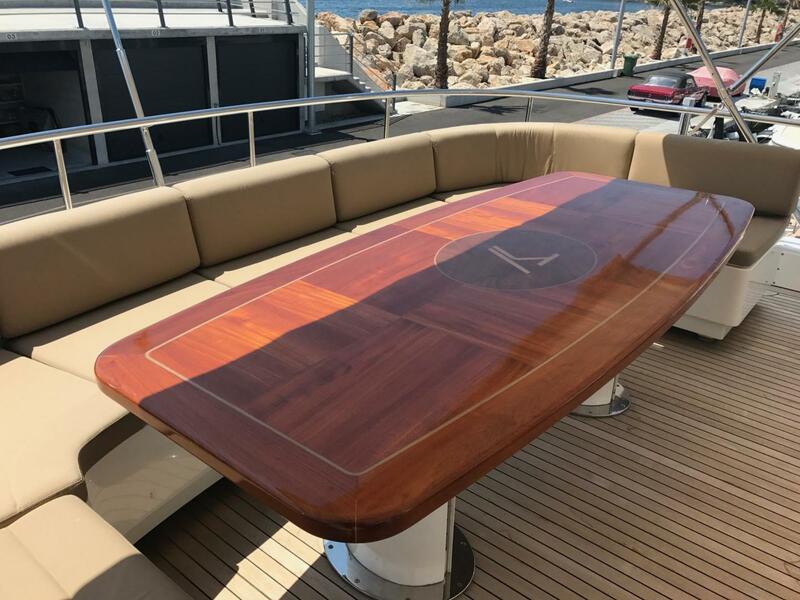 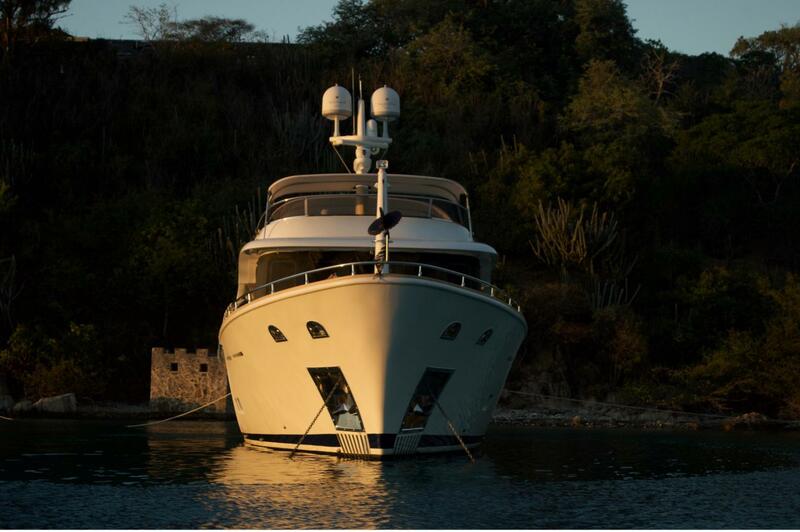 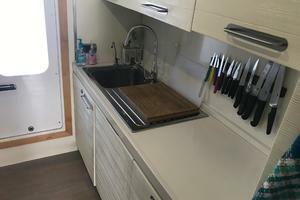 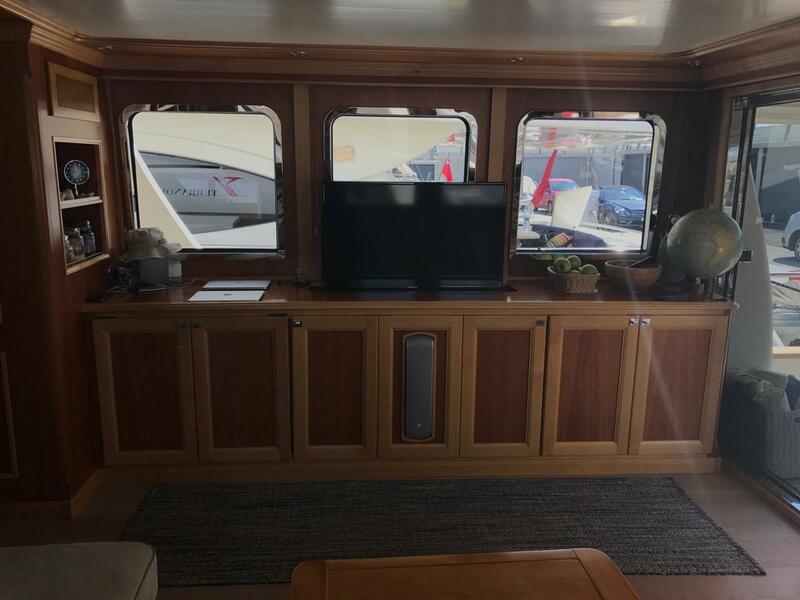 The 1st hand owner has fitted the boat heavily and equipped with the highest standard equipment, including a solid 2-inch teak decking, custom made furniture, 2x 136kg ship anchors w/16mm chain, TRAC zero-speed stabilisers, custom audio and stereo system on and below deck etc. 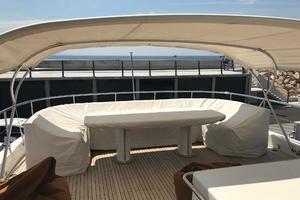 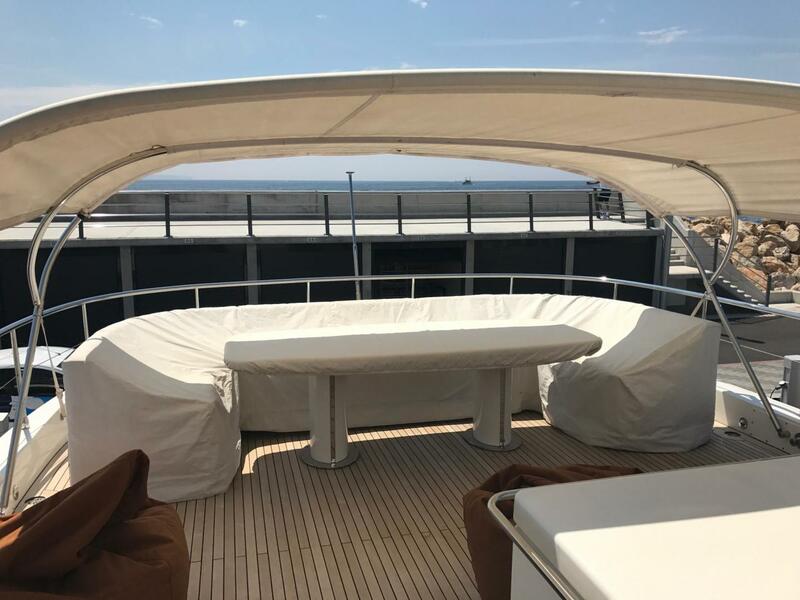 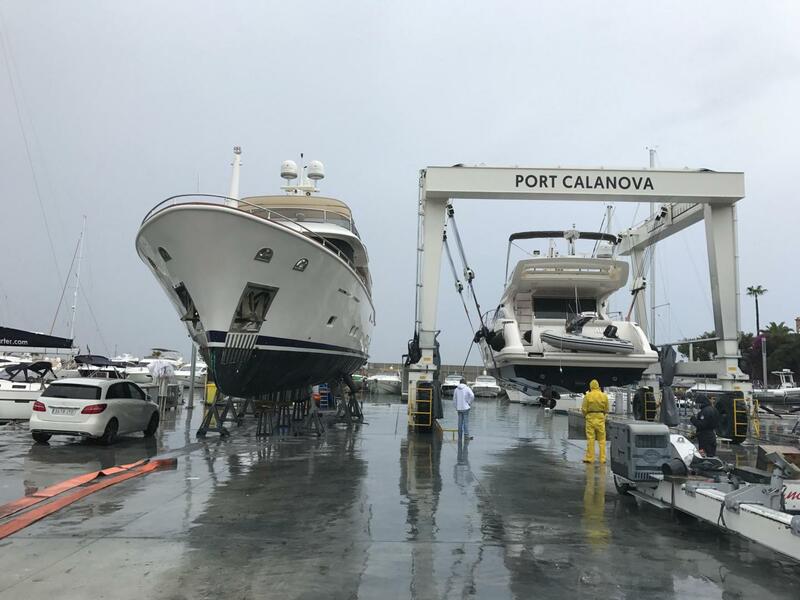 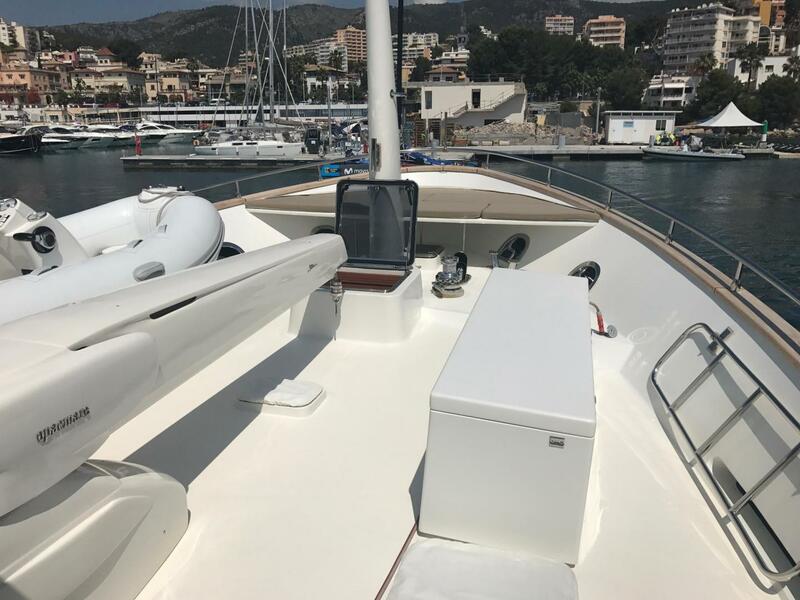 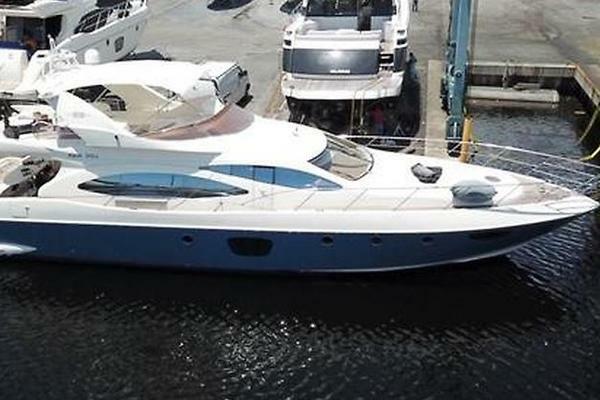 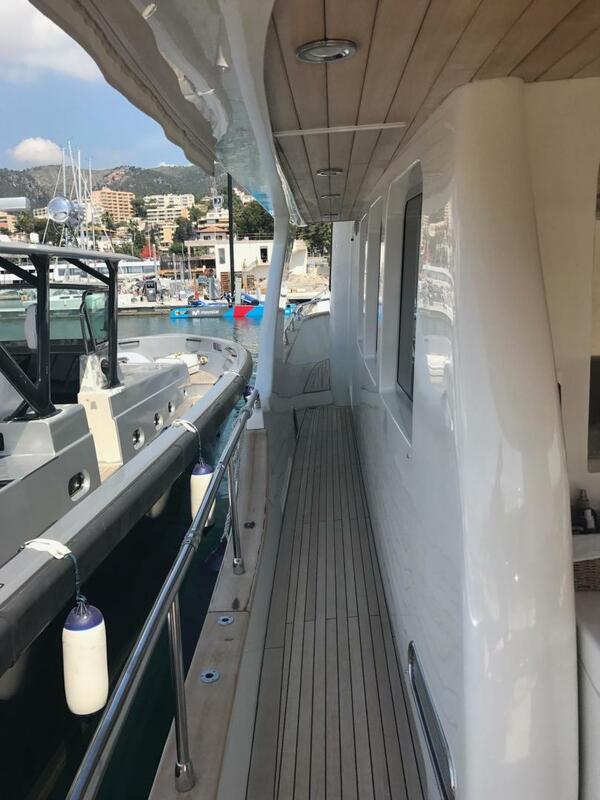 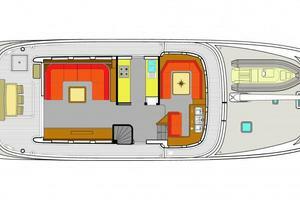 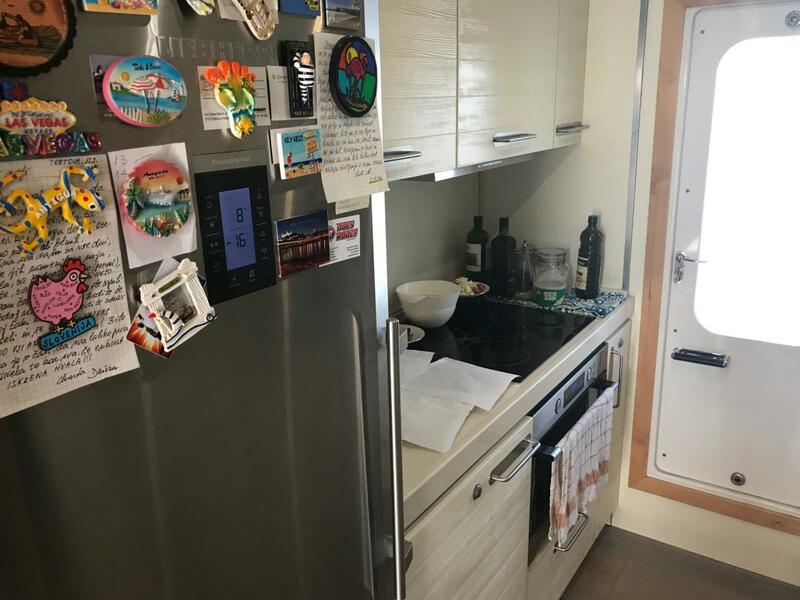 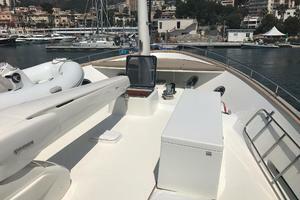 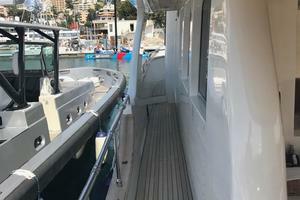 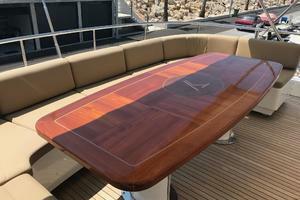 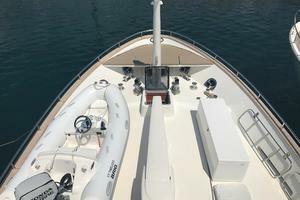 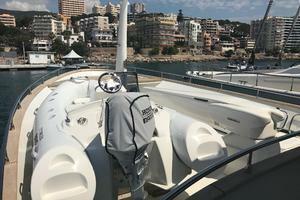 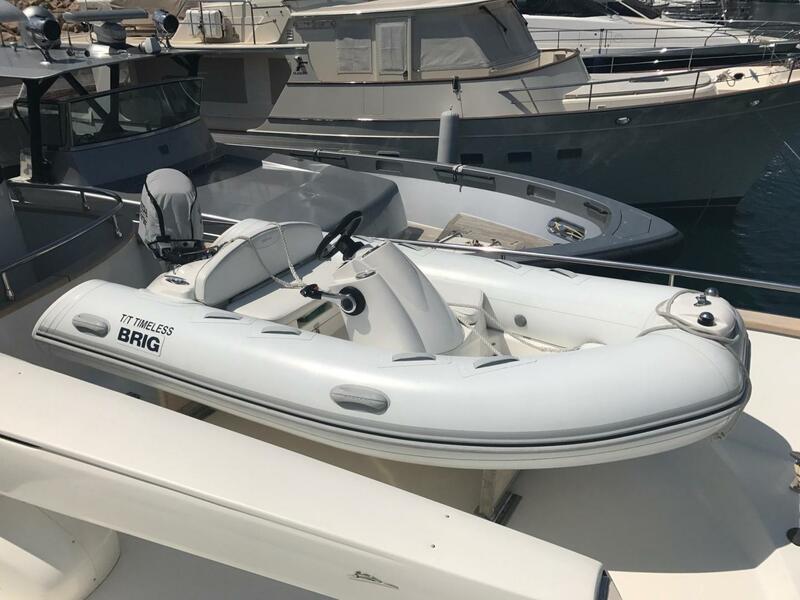 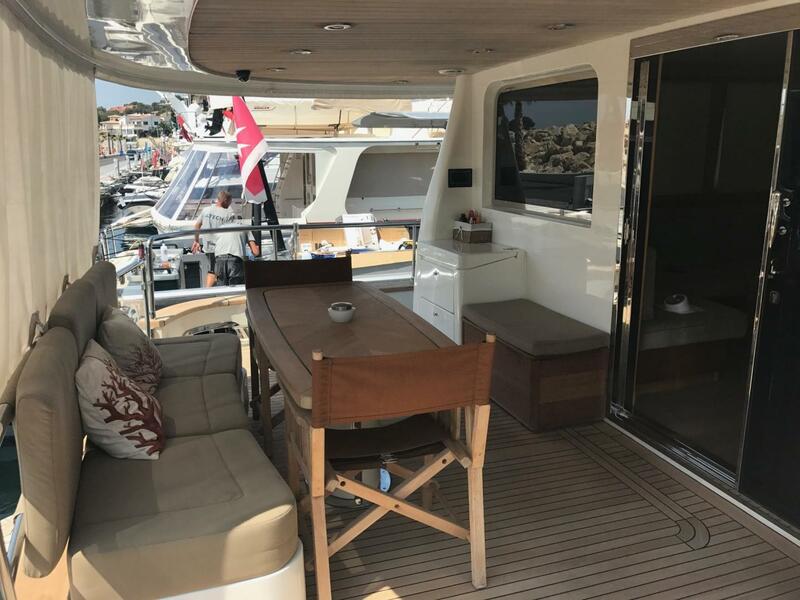 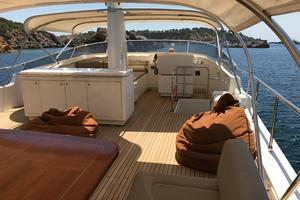 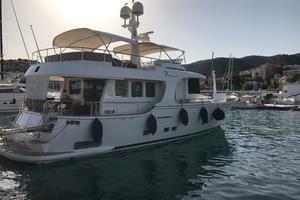 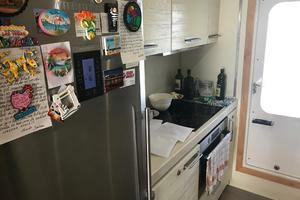 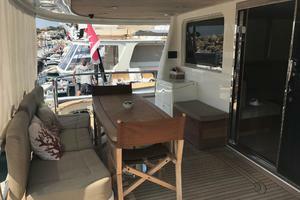 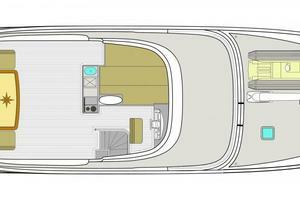 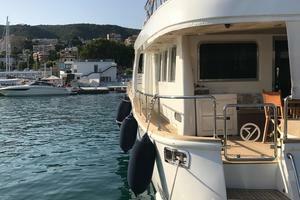 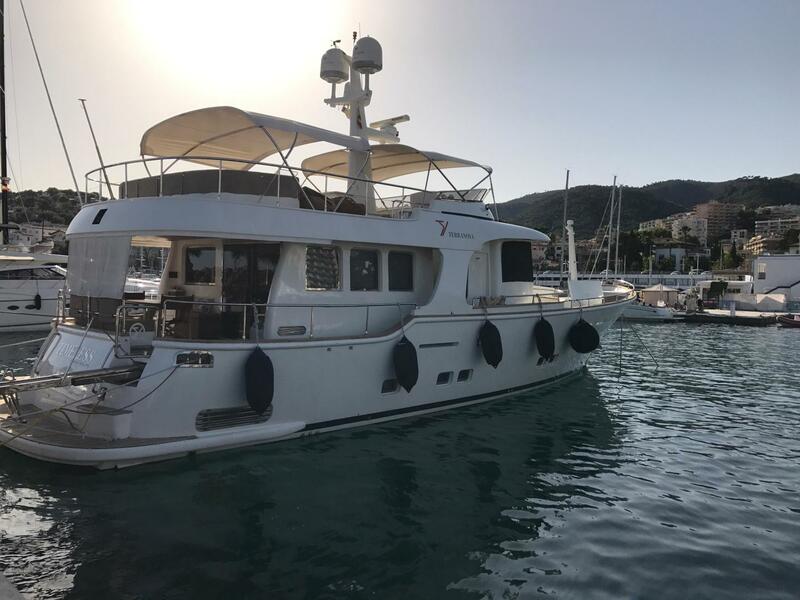 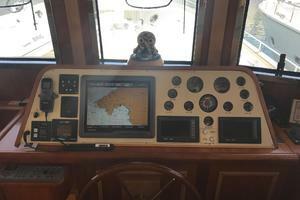 The current second-hand owner purchased the boat in Italy in 2014, and commissioned a major refit with all new refurbishing, refitting and deck and layout changes including technical and mechanical updates. 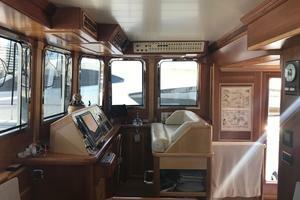 The boat was then heavily used by a family of 4 who lived onboard and sailed the Caribbean, Bahamas, U.S. East coast and the Mediterranean. With the new owners, she has completed over 5,000NM and long-distance sailing. 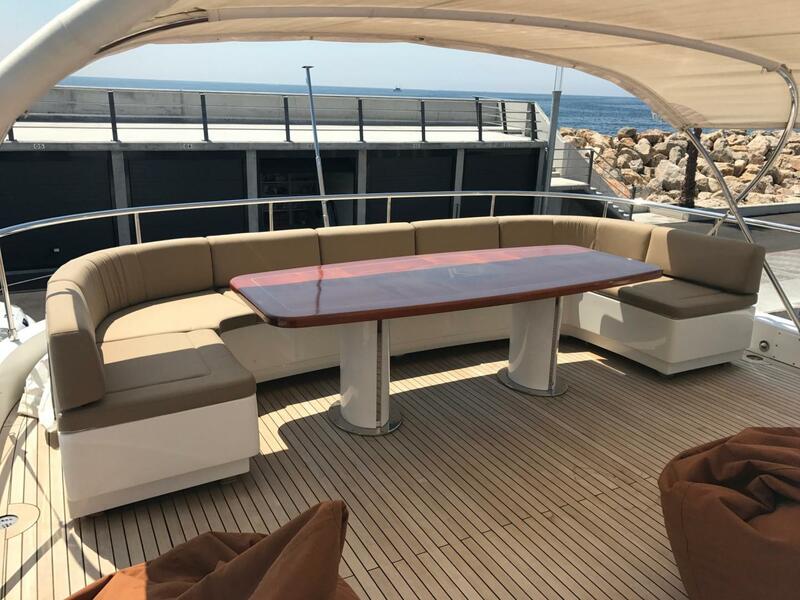 The displacement and handling is exceptional as she has experienced very rough seas and difficult situations with absolutely no mechanical or construction problems. 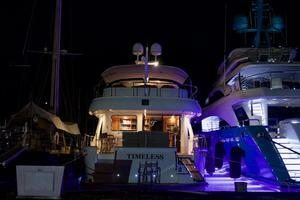 There are all original invoices for every working hour or spare part that ever happened onboard in the past 3 years. 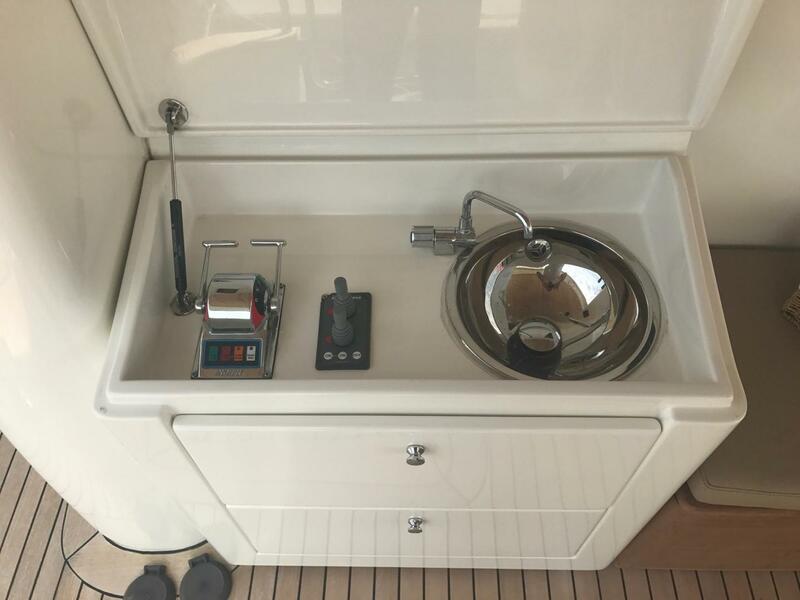 The boat is loaded with spare parts for everything in the engine room as well as on deck, including engines, generators, AC, navigation, tender, electronics, hydraulics etc. 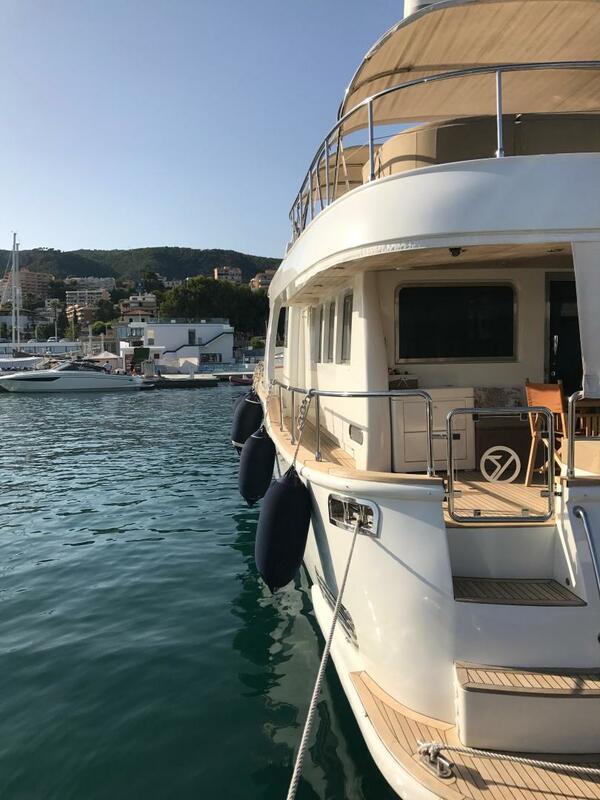 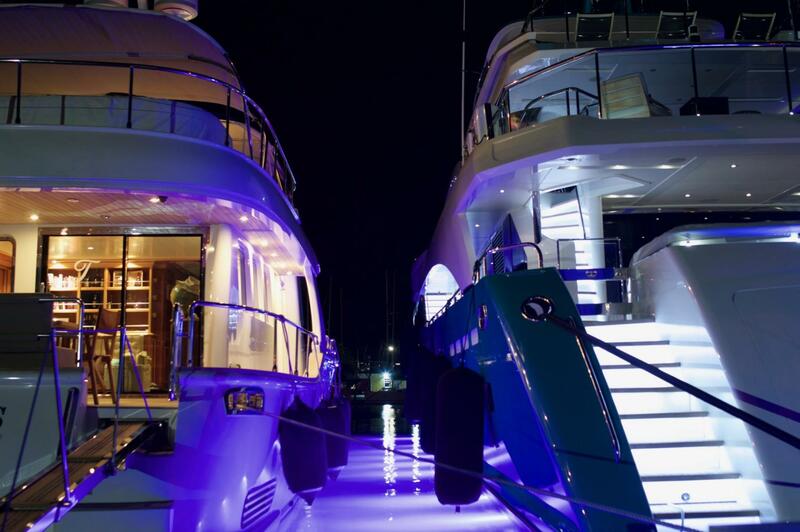 There is a recorded logbook for every move, transfer, or casual cruise and every recorded expense regarding the boat, backed with every original receipt. 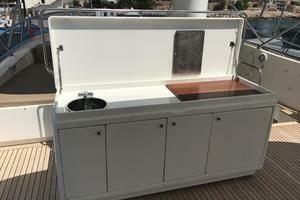 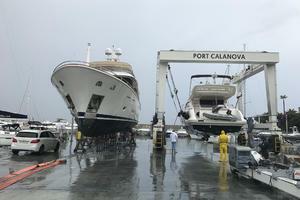 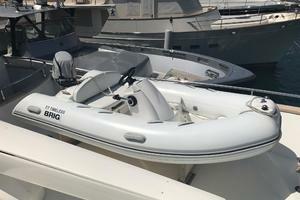 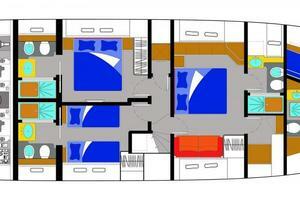 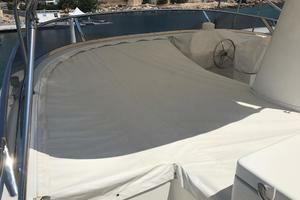 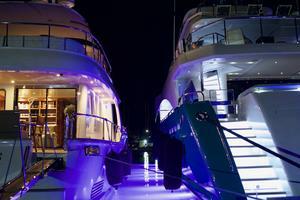 The boat was taken care of professionally and is kept in a perfect condition. 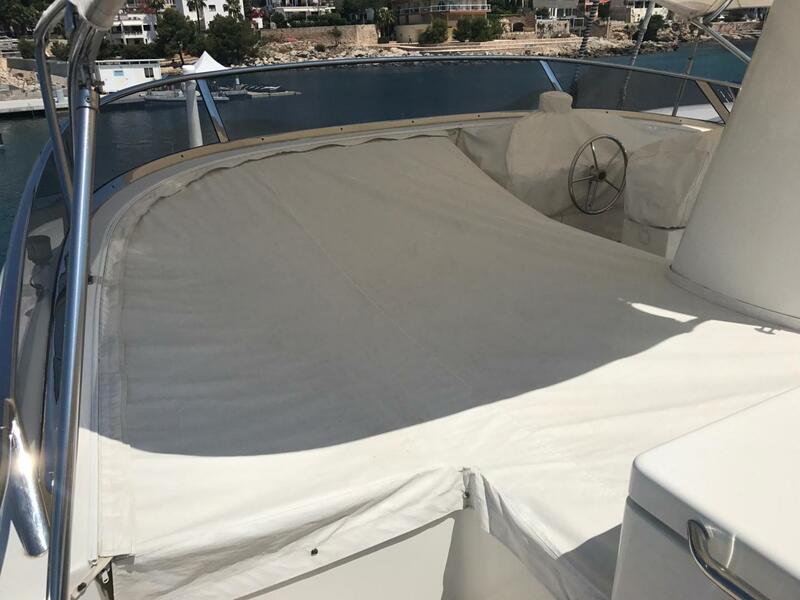 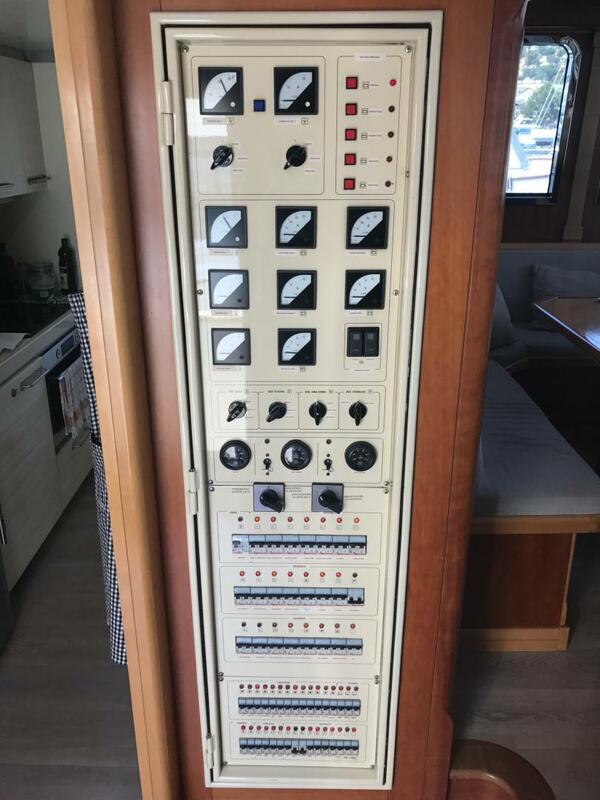 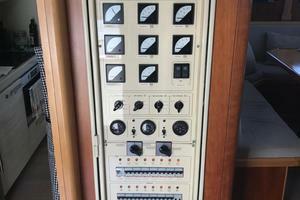 + Generators were heavily used in 4 years of cruising in the Caribbean waters, regarding there was no docking electricity or converters. 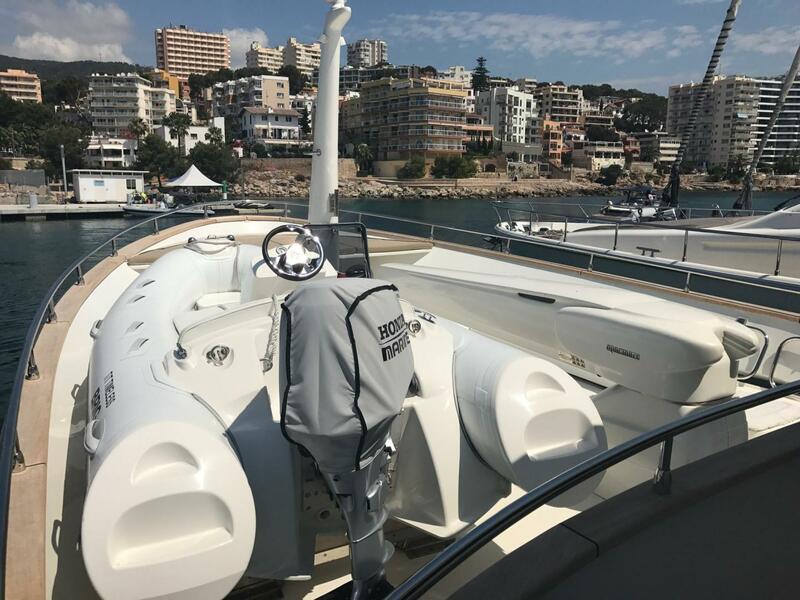 On 6000 hours the generators were completely rebuild including new water pumps, seals, bearings, injectors and valve adjustment… etc. 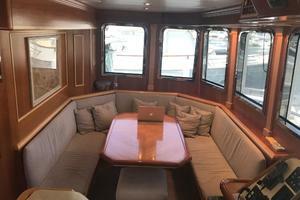 All invoices are onboard.